The cruiserweight division in boxing has been compared to purgatory– neither hear nor there, neither heaven nor hell. Lost between the glamor divisions of heavyweight and light heavyweight and with a disproportionate amount of talent coming from Eastern Europe, the cruisers often get overlooked in the US. However, no other division features as many top 20 fighters regularly squaring off and the division has yet to be frozen by the typical politics that plague the sport. The Serbia-born, German resident is not the best technical fighter in the division and he’s not the most athletically gifted, but few fighters in the sport have been as active as the reigning WBO cruiserweight title holder. Since winning the belt from Victor Emilio Ramirez in August of 2009, Huck has made six successful title defenses, scoring wins over Denis Lebedev (SD 12), Ola Afolabi (UD 12), and Matt Godfrey (TKO 5), among others. Before his world title reign, he was the European champ, with five successful defenses. Huck’s lone loss is to the #2 fighter on this list, American, Steve Cunningham. Possibly the best fighter in the division, the reigning IBF titlist, Cunningham has been plagued by inactivity, with only three fights in about two years. Philadelphia’s Cunningham fights at a high level when he does get in the ring, scoring wins over Top 20 ranked fighters, Enad Licina (UD 12), Troy Ross (TKO 5), and Wayne Braithwaite (UD 12) in his last three. He also holds wins over Marco Huck (TKO 12), Krzysztof Wlodarczyk (MD 12), and Guillermo Jones (D 12). Cunningham’s only losses have come via controversially scored split decisions against both Tomasz Adamek and Krzysztof Wlodarczyk. Russia’s Lebedev is an aggressive, southpaw pressure fighter who has stopped nine of his last ten opponents within the distance. His sole loss came via controversial split decision against Marco Huck last December. Most recently, Lebedev stopped Roy Jones Jr. in the tenth round of their bout, but he also boasts impressive KO/TKO wins over Alexander Alexeev (KO 2) and Enzo Maccarinelli (TKO 3). The Polish boxer-puncher with the impossible-to-pronounce last name, rarely gets his due, but has been one of the division’s most consistent fighters over the last five years. Aside from splitting a two-fight series with Steve Cunningham, the reigning WBC titlist, Wlodarczyk owns wins over Imamu Mayfield (UD 12), Giacobbe Fragomeni (TKO 8), and, most recently, undefeated contender, Francisco Palacios (SD 12). Rude, crude and 38-years-old, the Australian brawler is easy to dismiss when compared to the top fighters in the division. But Green hasn’t tasted defeat since a 2006 loss to Anthony Mundine at super middleweight and, as a cruiserweight, he boasts a 6-0 record. Most recently, Green scored a unanimous decision win over Top 5-ranked BJ Flores. Green is scheduled to face Antonio Tarver on July 20th. The talented Panamanian owns the WBA cruiserweight title and may be at, or near, the top of the “most talented cruiserweight” list, but inactivity has derailed the career of the 6 ft 4 battler. With nearly four years of inactivity in his last six years of career, Jones has fallen from the list of elite fighters. At 39 years of age, Jones needs to stay active if he wants to establish division dominance. Jones’ only loss at cruiserweight was to Steve Cunningham in 2005. Canada’s Ross is a talented, athletically gifted southpaw and the winner of The Contender (Season 4) reality series. In Ross’ marquee fight, he was performing well against Steve Cunningham until a thumb from the American opened up a nasty gash on his left eyelid. The referee ruled the shot a legal punch, costing Ross a TKO 5 loss. The undefeated Ukraine-born German resident has shown all the right skills to be considered one of the very best in the division, but his resume is lacking. Frenkels’ biggest wins to date have been against a badly-faded Enzo Maccarinelli (KO 7) and Kelvin Davis (TKO 1). A good technical fighter with a solid skill set, Flores has yet to show that he can fight with any urgency or drive. Recently, in a bout where he showed some aggression, Flores dropped a unanimous decision to Danny Green in Australia. 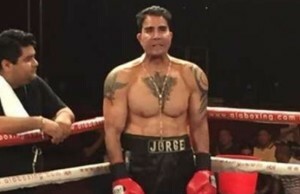 Flores holds unanimous decision wins over Darnell Wilson and Jose Luis Herrera. The undefetated Pole has yet to move up in class, which is troubling for a 30-year-old seven-year veteran. In his best win to date, the 6 ft 5 Kolodziej recently beat Felix Cora Jr. via unanimous decisions. The Puerto Rican boxer came up short in his bout with Krzysztof Wlodarczyk in April, but he still possesses a respectable skill-set, although his career resume is a bit lacking in quality names. France’s Herelius owns two wins over Jean Marc Monrose and an RTD 11 win over former world titlist, Firat Arslan. Despite getting stopped recently by Yoan Pablo Hernandez, Herelius has shown himself to be a tough competitor and a credible foe for anyone in the top 20. At 28 years of age, he is hardly a young man among possible prospects, but Nigeria’s Kayode is a late entrant in the world of high profile world class fighters. Kayode was marched to the ring six times in 2010 against an overall solid level of opposition, including Jose Luis Herrera (KO 2), Alfredo Escalera Jr. (TKO 8), and Nicholas Iannuzzi (UD 10). Kayode is set to meet former world title challenger, Matt Godfrey, in June. Poland’s 24-year-old cruiserweight prospect has yet to fight above the regional/national level, but has displayed a world class skill-set and an even temperament. 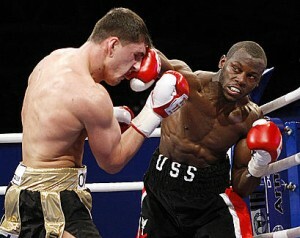 The 2008 Olympic gold medalist, nicknamed “The Machine,” was one of Russia’s most decorated amateur stars. As a pro, he has torn through the weak opposition placed before him so far. The 28 year-old southpaw is thought to have a tremendous future. Will the veteran southpaw former light heavyweight champ be able to ruin Danny Green’s run at cruiserweight? Will he stay in the division if he does? At 42, Tarver is well-past his physical prime and looked sluggish in his debut at heavyweight last October, but the Orlando native is a smart veteran with some big wins under his belt among the 175 lb. class. If he can get by Green, who knows where he might end up. The hard-hitting New Zealand native lost thirty pounds, left the heavyweight division, and is now looking to compete at cruiserweight. 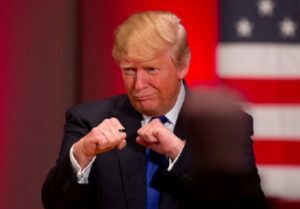 Can he be competitive among smaller, lighter-hitting fighters or will his lack of polished skills still be a major factor in whether he can succeed or not? Can the aggressive Russian southpaw rebound after being brutally KOd by countryman, Denis Lebedev last year? In 2009, he also suffered an RTD 9 loss to Victor Emilio Ramirez. Alexeev can still make an impact, but will the de-fanged all-offense fighter be able to re-ignite his drive?